East Jakarta Library and Archives Sub-dept. (Sudinpusip) will optimize Reading Corner which is located in 49 RPTRAs and three flats to enhance people's interest in reading.
" We will hold various events to grow people's interest in reading"
"We will hold various events to grow people's interest in reading. 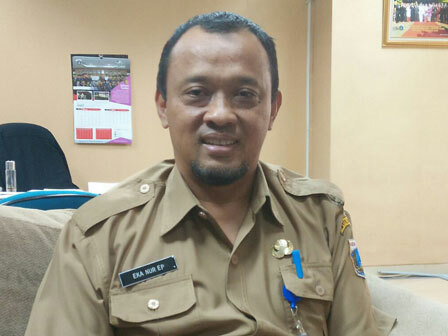 We admit that current interest in reading is still low," mentioned Eka Nuretika Putera, Head of East Jakarta Library and Archives Sub-dept., Tuesday (3/20). His side will hold literacy contest between RPTRAs, intensify online library socialization, and Jakarta Children's Reading Day contest for elementary, junior high, and senior high school students that will compete in writing articles, book reference, and speech. "RPTRA's Reading Corner visitor in average is around 1,300-1,777 people per day. We will increase its amount by 50 percent," he affirmed. Besides RPTRA, his side will also take initiatives to reach communities in residential areas by using six cars and two motorcycles as mobile library. "We will also add Reading Corner in public. When we have a community, then we will build Reading Corner in that location. We will target terminal, station, puskesmas and other public areas as the locations," he conveyed.